Today’s update is taking a new experimental turn I’ve been toying with. I’m temporarily trying out what I think I might potentially call a flash post that is submitted by contributors. Sometimes, you guys go to places and find yourselves randomly taking pictures but not necessarily enough for a full posting. So that’s where the idea flash post come’s in. It just basically serves as an excuse for me to drop little updates by you guys even if there are not enough pictures to accompany it. So in essence, we are now accepting user generated content on the blog. So if you find yourself in a place that you think might be good for the blog, take a couple of pictures, write on the place and send it right over. We’ll give you all the credit, except you choose to be anonymous! 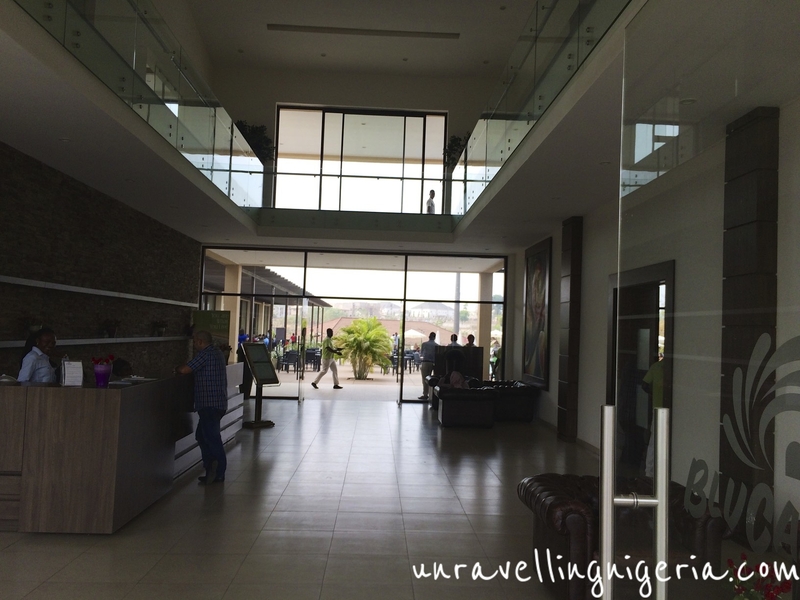 Hope you enjoy this post which is from a contributor in Abuja. 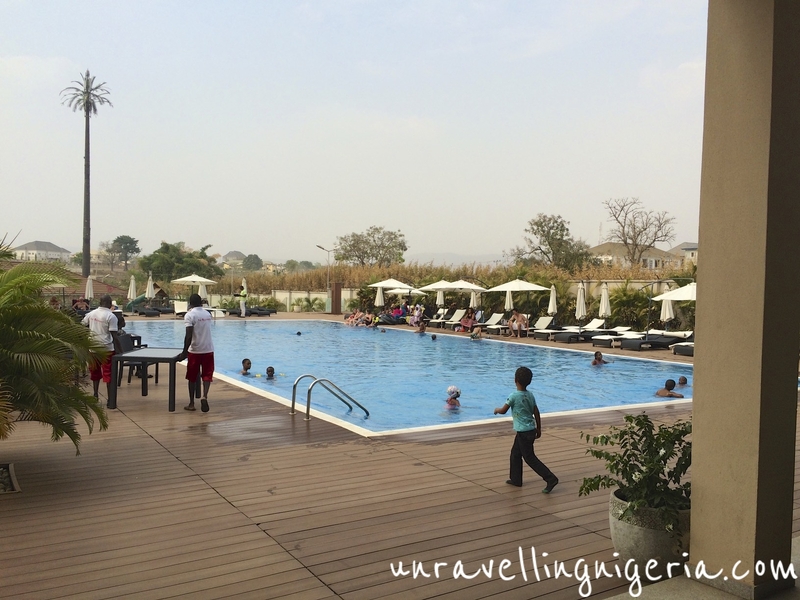 Today’s post takes us all the way to Abuja’s very own BluCabana! 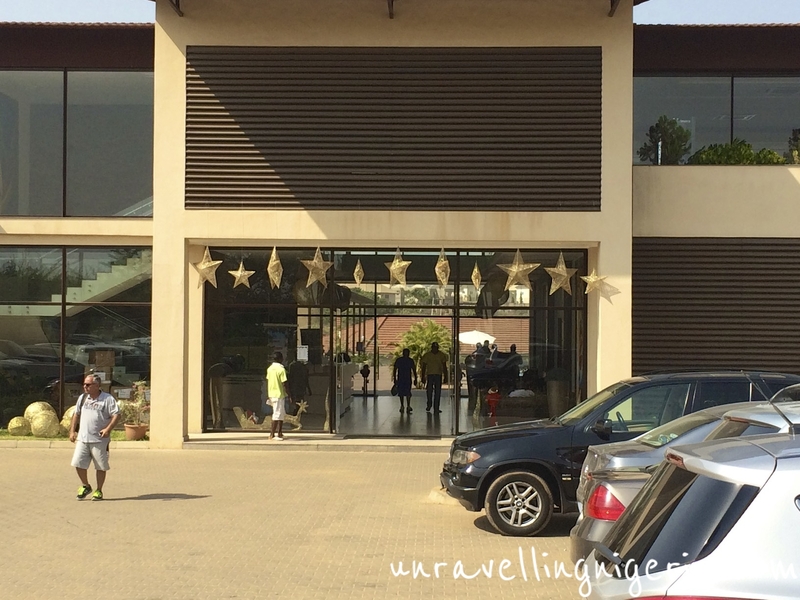 Blucabana is located in Abuja’s Mabushi district (Opposite Next Cash & Carry). It might however seem tricky for first timers to locate as you have to drive off the main express to the untarred road to get to it. 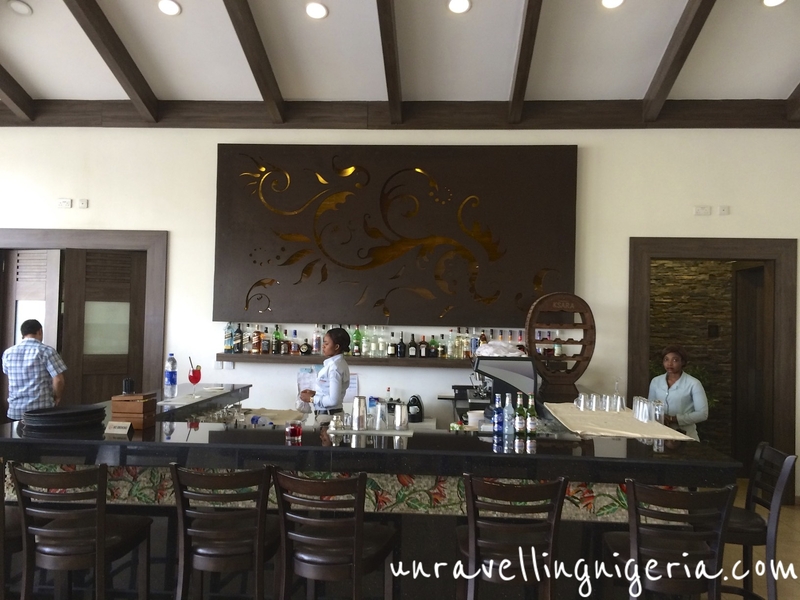 However the small inconvenience is in my opinion worth the trip, Blucabana is described as a club and beauty lounge which among other things entails a restaurant, pool/swimming area, Billiards room as well as a lounge area. 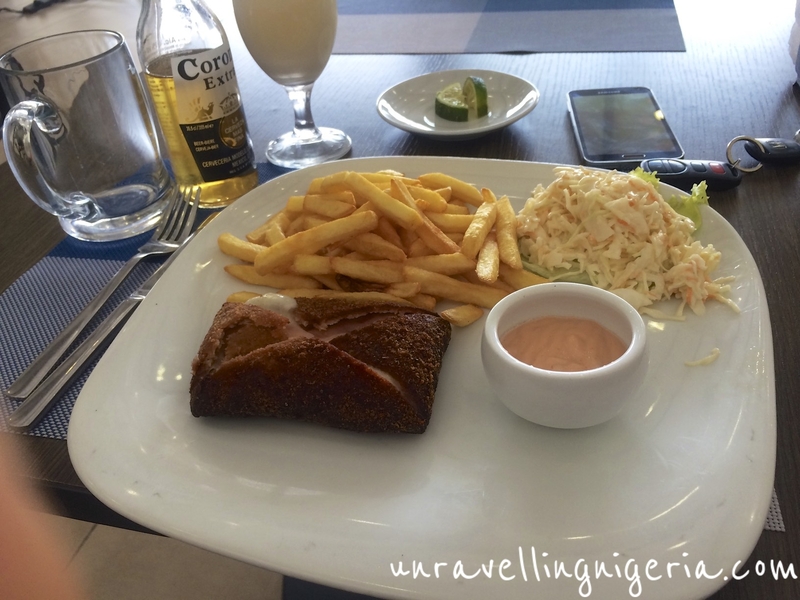 Today’s post will however focus on the restaurant. The restaurant and the Pool go side by side with the interior décor of the restaurant at first glance giving off an impressive yet minimalist Vibe. 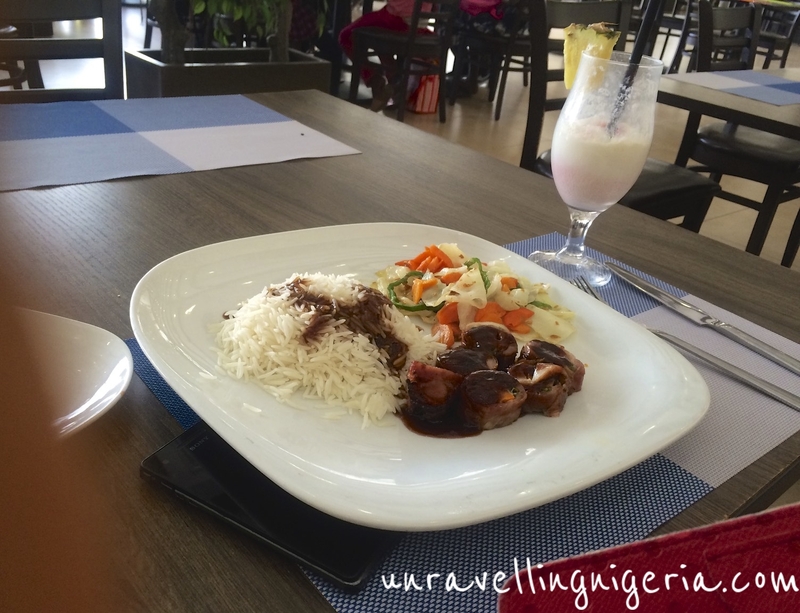 Having been here a couple of times I was already familiar with the menu, which offers a selection of international cuisine (E.g. from Japanese teriyaki chicken, fettuccine alfredo, to shrimp curry) as well as feel good food such as burgers and fries. Having been here a couple of times and always getting Buffalo wings and a burger, (I feel I should mention that after one or two visits the menu starts to seem like it lacks a good variety of options) I thought I would try something different. I stuck with my standing order of Buffalo wings for my appetizer, as they have become the norm in my family, I however decided to try something different for my main meal and went with the Veal Cordon Bleu, which is a fancy way of saying veal breaded and filled with a mix of cheese and turkey served with fries. On my first impression it didn’t look too impressive but I must say it did taste really good although I feel the portions could have been by far bigger. My friend on the other hand decided to go with the Teriyaki chicken and rice. I couldn’t make up my mind on what beverage to get, and seeing as how difficult it was I decided to get two. You only live once so why not right?! 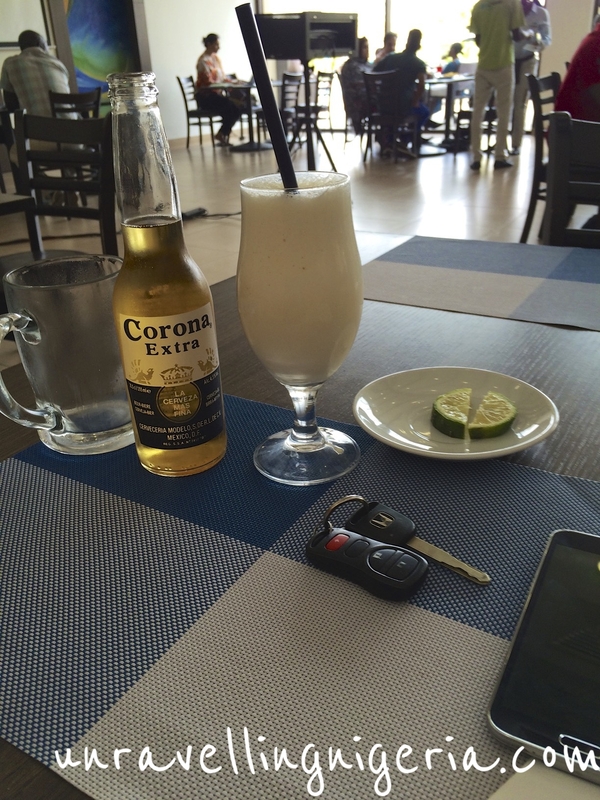 Anyway I decided to go with a Corona (One of my favorite beers from my time in University), as well as a milkshake. After making fun of my choice of two drinks my friend went with the virgin Pina Colada. Blucabana really does provide a high-end atmosphere to hangout with friends either poolside or just lazying about in the lounge. It is Ideal for a large group of people and provides reasonable parking space. Depending on what you get, the price of a meal for two rests somewhere between average – mid range. Speaking of prices, blucabana accepts cash only but there are ATM machines on the premises. I would however recommend it to anyone looking for a place to have a good stress free time in a visually appealing environment with either a small or large group of friends. Take the next exit after the Mabushi junction, Go down a bit until you see a turning to your right just before the Setraco building. Go straight and then take the second right turn. 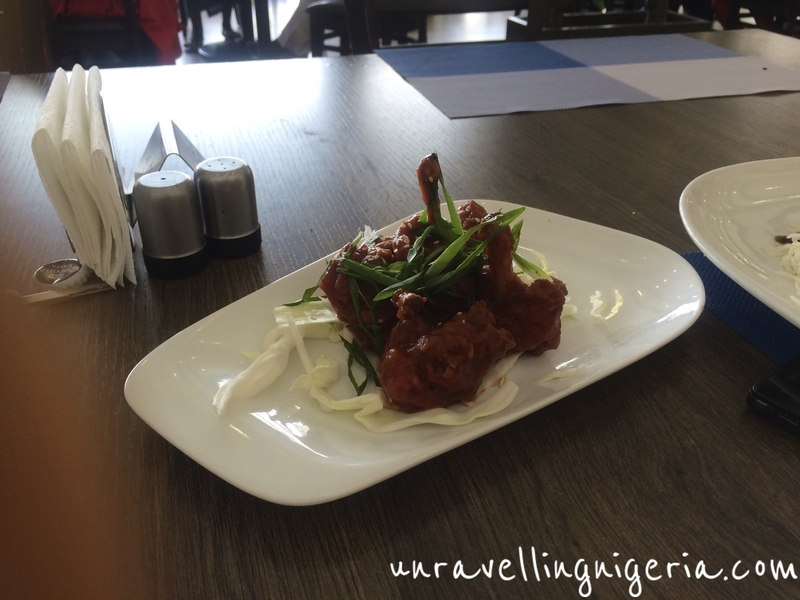 If you ever find yourself in Abuja, be sure to check them out. If you’ve been there, what did you think? Blucabana is a great place to hangout particularly for dates and it is definitely hard to locate unless you are a regular. I still can’t believe they don’t accept cards (rather have a preference for cash).